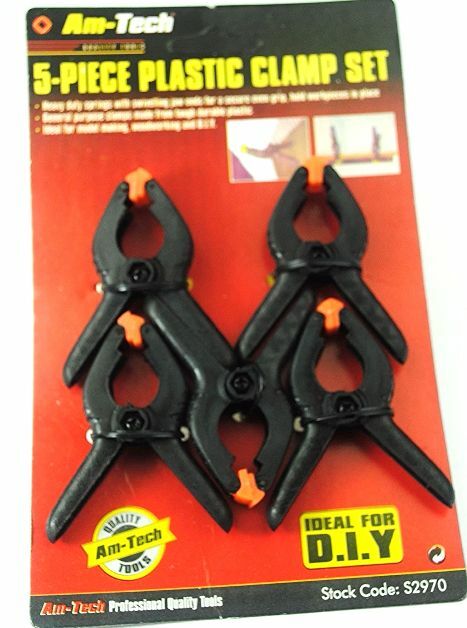 This is a new set of 5 small plastic spring clamps from the range of Am-Tech Tools. 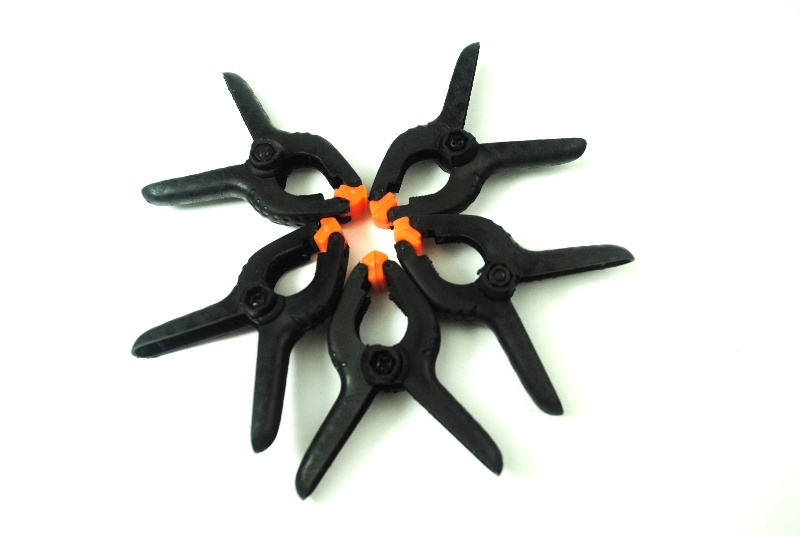 Approx Size; 2.5" OR 62.5mm length. 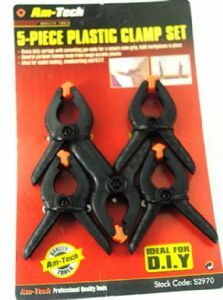 Ideal for model making, woodworking and DIY.